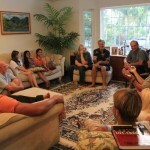 Click on List of ‘Ohana Groups to find a fellowship you’re interested in! The Hawaiian term, ‘ohana, is defined as a group of closely and distantly related people who share nearly everything, from land and food to children and status. 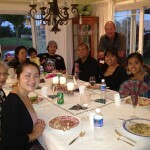 It emphasizes that family are bound together and members cooperate and remember one another. Casually we use ohana whenever we’re talking about a sense of extended family in Hawaii. 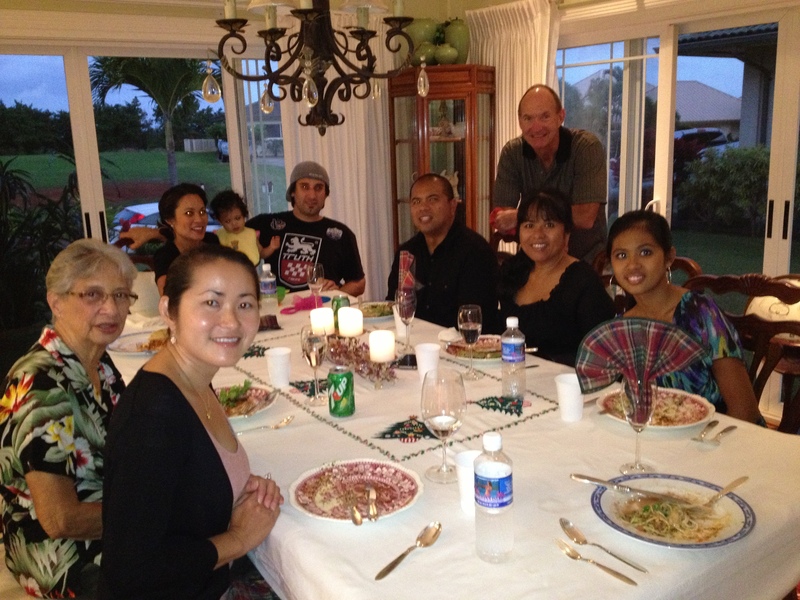 In Hawaii, we love being a part of an extended ohana! Acts 2:42-47 provides insight into the life of the early church, where both Jews and Gentiles were able to experience true fellowship (koinonia) with one another: 42 They devoted themselves to the apostles’ teaching and to the fellowship, to the breaking of bread and to prayer. 46 Every day they continued to meet together in the temple courts. 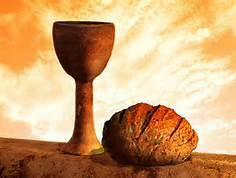 They broke bread in their homes and ate together with glad and sincere hearts, 47 praising God and enjoying the favor of all the people. And the Lord added to their number daily those who were being saved. One of the key features of this early church was that, in addition to meeting together in larger groups at the temple, they also met together in small groups, in each other’s homes. This has been described as the “Two-winged Church”. Just as a bird needs two wings to fly, a healthy church needs both larger corporate gatherings and smaller gatherings such as ‘Ohana Groups. If you look at churches that are healthy and growing today, you will discover that small groups play an absolutely crucial role in helping believers to grow. While Sunday mornings are great for corporate worship and teachings, they are inherently limited by time, connection and participation. 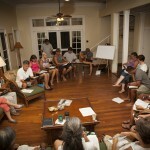 Small groups are an ideal place where friendships can be built and nurtured. At Crossroads Kauai, we have embraced Jesus’ call for us to love God with all our hearts and to love others—loving unbelievers into God’s Ohana and loving our fellow brothers and sisters in Christ! As a spiritual family, we recognize that everyone has different giftings, different needs and are at various stages of growth. Yet, we all share common needs: Growing in Christ, fellowshipping with others, being encouraged, and developing meaningful friendships. 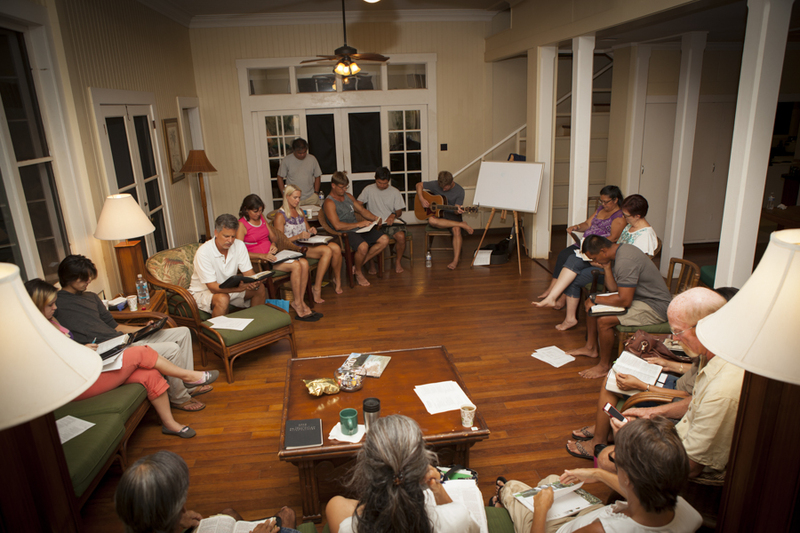 Over the years, we have had over 100 people become equipped through an ‘Ohana Leadership course where they learned foundational principles and skills for leading small groups. We use the “free-market” approach whereby leaders are encouraged to seek the Holy Spirit’s guidance in designing a small group experience. 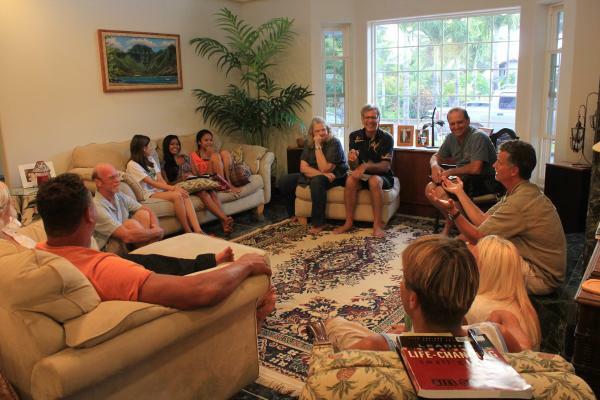 Because there is such rich variety of people in our larger ‘Ohana, we can offer a wide range of groups that meet the different needs or desires of people in our fellowship: outdoor adventures, Bible studies, hiking, music, prayer, hula, etc. You’ll connect and build meaningful friendships with other brothers and sisters! You will grow because you are participating more actively: learning how to pray, study the Bible, etc. You’ll have opportunities to interact and share your biblical discoveries with others, thus helping others to grow. Something powerful happens when you “own” the truths you discover. 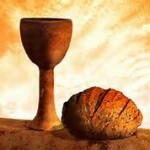 You’ll have the opportunity to practice using your God-given gifts to build up the body of Christ! You’ll receive biblical counsel that you need. Likewise, you can help others with the Word of God. You’ll have the opportunity to bring unbelieving friends into a casual atmosphere where they can hear the Good News!